It’s been a rough week for Washington City Councilman Matt Staniszewski. His email test of the City’s transit alert system, reading “Alert: This is a test. Bryan is gay,” has gone viral. The Mayor of Washington reprimanded Staniszewski, but the Councilman insisted he was using the word gay as in happy. 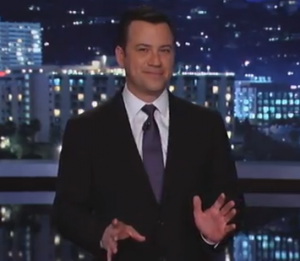 Late night host Jimmy Kimmel didn’t buy it.